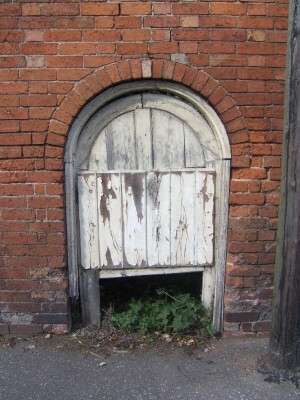 Nursery garden door to Barford House, Evelyn Waugh is reputed to have used this door when he was returning from the village pub. This fine listed Regency building built at the turn of the 19th century in the neo-classical style is currently slowly undergoing extensive renovations.To the east of Barford House is a classical 1820 sun temple. A country house is typically several hundred metres from other houses, but it may be close to the centre of a village. It generally refers to a large house which was built on an agricultural estate as the private residence of the landowner. Many of these men were very influential people and often involved in politics. Country houses often served as meeting places for election campaigns. Many country house owners and members of their families served as Lord Lieutenants and Justices of the Peace. The country house served as a wonderful place for relaxing, hunting, and running the country with one’s equals. The country house was the centre of its own world, providing employment to literally hundreds of people in the vicinity of its estate. In previous times state benefits were unheard of and those working on an estate were very fortunate. Until the 20th century, unlike many of their contemporaries, they slept in proper beds, wore well-made clothes and received proper meals and a small wage. When many others died for lack of medicine or from malnutrition, the long hours worked were a small price to pay. 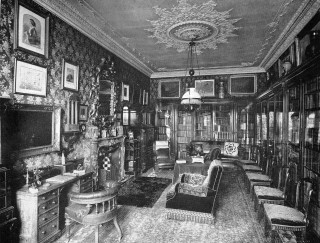 In the 19th Century, the political power of the landowning class began its slow decline with the Great Reform Act of 1832, and the new class of industrialists slowly began, in many cases to eclipse the wealth of the aristocracy and gentry. Many of these men built or bought country houses, and the previously vital link to land ownership was slowly eroded. 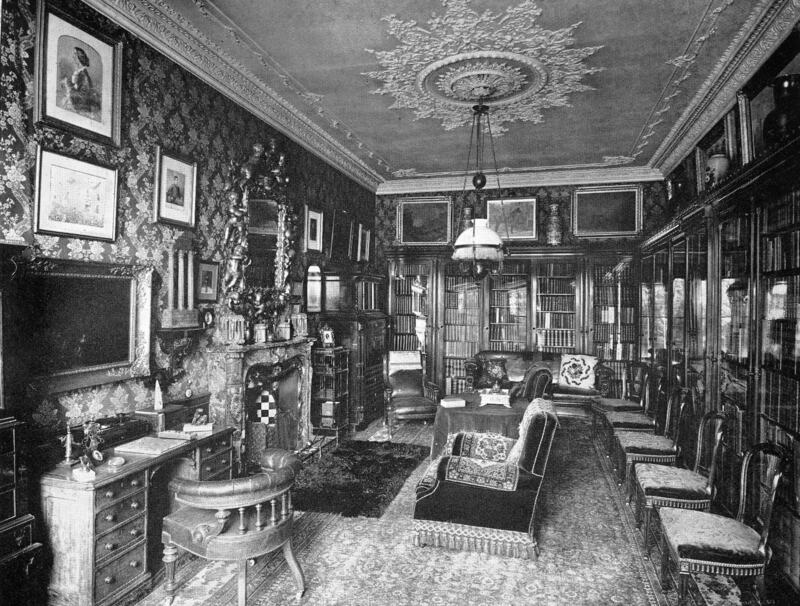 English country houses began their decline during the Agricultural Depression of the 1870’s which was accelerated by World War 1. The staff required to maintain them had left to fight or to work in munition factories. Many sadly never returning .The final blow for many country houses came following World War 11, when many houses were requisitioned by the government for use as barracks and hospitals and returned to their owners in poor repair. Agricultural incomes had fallen and many estates were required to pay far higher rates and taxes. In Britain during the 1950’s and 60’s thousands of country houses were demolished. We in Barford lost Barford Hill House and The Red House. Barford House reverted to private use and is still used as a private family home. It also stands to remind us of grand times and a different way of life. The history of Barford House Wellesbourne Road Barford Warwickshire. On 29th November 1808 Abraham Blick of Longbridge near Warwick sold the land at auction at the “George Inn”, Barford for £420 to George Kitchen of Barford. Mr Kitchin already owned the adjacent land. 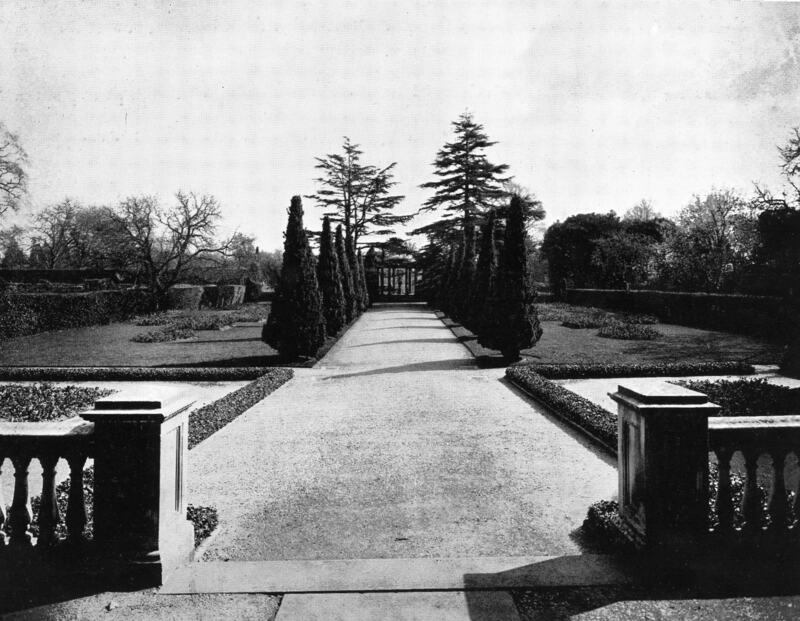 He then built a house on this land which became known as Barford House. Abraham Blick was Mayor of Warwick in 1810. 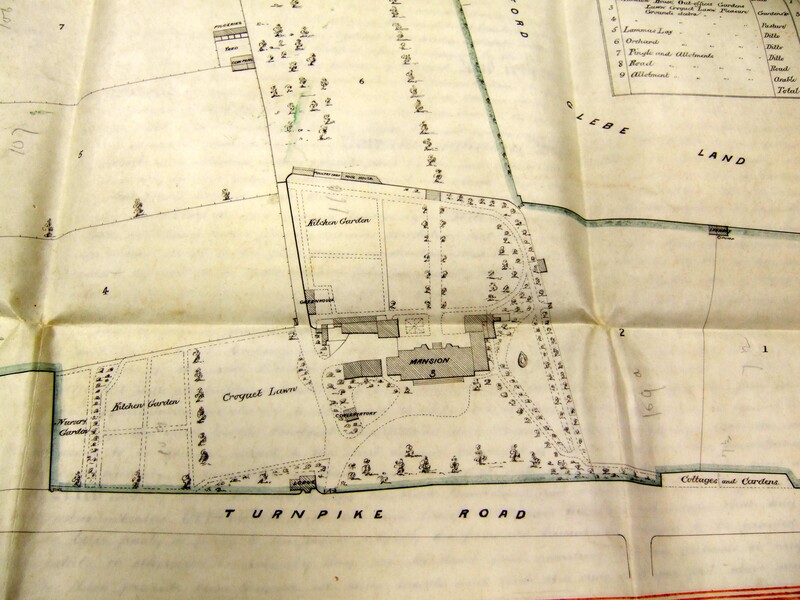 On 25th March 1817 George Kitchen leased Barford House to the Byerley sisters. Maria, Ann, Elizabeth, Jane M, and Catherine spinsters of Barford. House gardens, temple, outbuildings furniture and fittings, for a period of 10 years at a rent of £136 per annum to be paid half yearly. 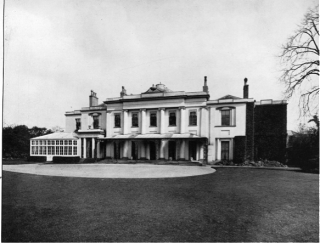 The Byerley sisters ran a school for young ladies .Elizabeth Stevenson later to become Mrs Gaskell was a pupil at the school from 1820-1824 .The Byerleys then moved to Avonbank in Stratford-upon-Avon. On Monday 5th November 1827 at 4pm at The Warwick Arms Barford House was offered for sale at auction. It was described in the sale catalogue as a Handsome commodious modern house. In the 1841 census James and Emily Rattray were living at Barford House with their two sons Yorke and Sidney. William Archibald Eyton of Aston Hall in the county of Salop was the next gentleman to own Barford House . He corresponded with Charles Darwin. Captain Eyton was born in London and his wife Georgina in Scotland.By 1861 they had three children Violet aged 3 born at Aston Hall Salop. William A aged two born at Barford and Rose Adela just ten months old. Listed in the 1861 census there was a child aged 10 visiting a Charles T.S.Cumberland who was born in India. The staff were as followes; Two nurses, one wet nurse, butler, housekeeper, footman, groom, kitchenmaid, and housemaid. 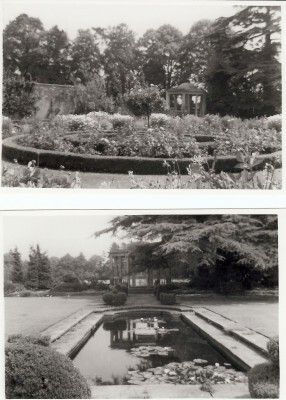 There would also have been numerous employees working in the gardens and grounds. 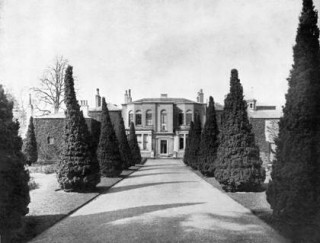 Barford House was sold in 1873 to Brooke Robinson MP for £8200. This sale was listed to include Houses, outhouses, buildings, greenhouses, vineries, barns, stables, cottages, yards, gardens, orchards, shrubbries, pleasure grounds, meadows, pastures, quarries,trees, wood, underwoods, shrubs, walls, waters, mounds,and water courses. Dudley Brooke Robinson Esq. Barford House & 26 Chapel St London S W Carlton and Junior Carlton Clubs Tennis Court Club Royal Leamington Spa. There is a Museum in Dudley dedicated to Brooke Robinson. Born at Dudley, who, after being educated at Rugby, and subsequently serving his articles with his father, was in 1858 admitted a solicitor, succeeding to the business carried on in Dudley successively by his father and grandfather. He was also county coroner for the Dudley district, being elected in 1860 without opposition, which appointment, however, together with his profession, he, in 1874, on going to reside at his residence of Barford House, near Warwick, resigned and retired from. He was for some time an officer in the Worcestershire Yeomanry, having charge of the Dudley troop; and in 1886 was elected M.P. for Dudley in the Tory interest, being re-elected in 1892 and again in 1895. On March 10, 1870 being the same day on which, eighteen years previously, he had signed his articles of clerkship in the law, he married at Kinver Church, Staffordshire, Eugenia Frederica Louisa, only surviving child of George Richmond Collis then resident at StourtonCastle, who died 4 May, 1891, at her London residence, 40, Eaton Square, being interred beside her parents in the churchyard of Edgbaston Church.In 1902 he married for a second time a Mabel Askew. January 8th 1913 Mabel Fanny Mary Robinson widow, William Herbert Williams surveyor and Robert Marshall of Dudley solicitor herewith called the trustees. Sold Barford House to Arthur William Huntington for £6000. Arthur William Huntington sold to Edith Smith-Ryland, of Barford Hill. The house had not been very well maintained during the preceeding years and needed quite a lot of work doing. In 1916 Edith Smith-Ryland drew up a lease for 7 years for renting the property to Mr Hugh Graham .Yearly rent of £250.There is copious correspondence between Mr Graham and Edith Smith Ryland some of it bordering on the petty about the state of repairs needed on the house and outbuildings there is a long list of requests. One of the letters is reproduced below. Mrs Smith-Ryland complains that on the 25th instant Mr Graham told her two cowgirls(who look after the animals) that they had no business there with the Cows .May we ask you please to remind Mr Graham that until the 25th March he is only on the premises under special license and permission for the purpose of doing his repairs. We think he hardly appreciates this position. The Cowsheds will be vacated by the 14th February by Mrs Smith-Ryland pursuant to her undertaking; but we do not think they will be cleared out before that date. 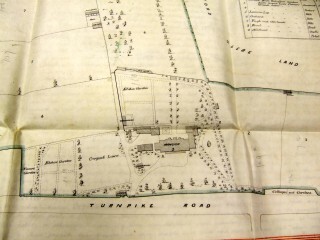 (Signed) Ryland, Martineau & Co. Messrs. Field & Sons. Item..From LordStamfordhamBuckinghamPalace, Secret. 23rd Dec 1916. Note…. From The Lloyd George Papers dated 1st Jan 1917 ….Sir Hugh Graham’s name be submitted as soon as possible for a peerage. The Knighthood for Riordan depends on Graham’s peerage. In 1923 Mrs Graham now a Widow requested to extend the lease for a further 7 years this was refused as Mr Smith-Ryland wanted to sell the property. Mrs Graham then purchased the house. Hugh Graham’s son Alastair Graham grew up in Barford House just outside Warwick a 12 bedroomed home in almost 20 acres of ground. His housekeeper, Mrs Charlotte Evans-Lottie to Mr Graham worked for him for 45 years. Mr Graham’s niece Mrs Kitty Macduff-Duncan remembered Evelyn Waugh spending weekends at the house. She thought her mother-Mr Grahams sister was a character in one of his books.Waughs son Auberon once revealed in an interview that Flyte in Brideshead Revisited was based on Alastair Graham. Graham met Waugh at Oxford university , golden days where they went to many parties together .After Oxford Mr Graham joined the Diplomatic Corps.He was with the Foreign Office in Athens from 1927 to 1929, and later in Cario until 1933.He arrived in Wales in 1936.He didn’t work but occupied a magnificent house Wern Mansion, set in 40 acres five miles from New Quay. He became known for his parties, to which were invited glittering friends of his by-gone days- Waugh, the painter Augustus John, poet Dylan Thomas and architect Clough Williams-Ellis.There would be lots of drink and the parties would go on until three in the morning.Mr Graham sold Wern and moved to his fishermans cottage in Rock Street New Quay, in 1958. He enjoyed many a drink at the village pub. In 1938 Barford House is listed in Kelly,s directories as owned by Brig.Gen A O Baylay A C D S O and listed in the name of the same owner in 1942,1945 AND 1950. 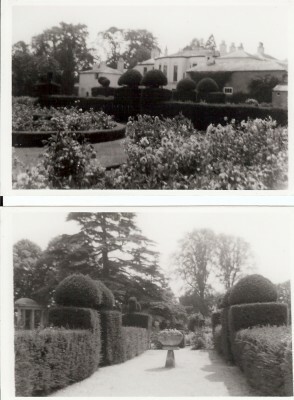 In 1956 listed in Kelly’s directories as owned by J.N.Roberts who must have leased to Armstrong Siddley in the 1960’s. Barford House is situated along the Wellesbourne Road ,it lies behind a red brick wall looking not much different than the day it was built in the early 1800’s. It is an imposing Country House and garden. The present owner bought the house in a state of disrepair and has started a long period of restoration. Mr Alan Roberts is the present owner. Used to stay at Barford a House in mid to late 40s when home to Gen. Baylay and family. Was interested to compare official website photos with my own family photos. So happy it’s been preserved. Thank you for this interesting comment regarding Barford House, we are always delighted to hear from past visitors to Barford. If possible we would really appreciate one or two of your old family photos of Barford House. We are always updating our history. If you have a photo of General Baylay that would be much appreciated as we could show it to our older residents, some of whom are sure to remember him. They meet each Tuesday morning in the Scout Hut and you would be welcome to join us. Also some of your memories of Barford, shops, etc would be appreciated. Thanks for this Geoff, I don’t think any of us in the Heritage Group picked up this article.